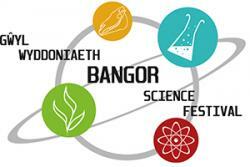 Bangor University’s Science Festival is back for its sixth year. The festival runs from 11th-20th March 2016, and welcomes everyone to explore and discuss science through talks, hands-on activities, exhibitions and demonstrations at its FREE events. ‘Hidden Worlds’, the flagship event, takes place in the Brambell Building on Deiniol Road between 10.00am-4.00pm on Saturday 12th March. The laboratories will be teeming with activities such as ‘Predator and Prey’ and Photonics, ‘the science of light’, as part of the hands-on science day. The research aquariums will be open and visitors will also be able to hold and touch reptiles and sea creatures; the general public will also be given access the to the University’s impressive Natural History museum. Added to this, the Popular ‘Flash Bang’ Chemistry shows take place at 12.00 and 1.30, guaranteeing plenty to do and see for people of all ages. Also launching during the Festival is the #LoveYourClothesBangor initiative. Every 90 seconds we throw away 1 Tonne of clothes - come and see what this looks like. Learn how your used clothes can help others. Make new things out of pre-loved textiles working with our exciting designers and have your favourite clothes repaired or altered in our repair café. For dates and times visit the website. Electric cars are no longer the stuff of the future and electric transport will change the way we drive. On Tuesday 15th March, there will be an exciting, interactive presentation that will look at different forms of electric transport and an opportunity to see electric cars for yourself - a Nissan Leaf and a Tesla Model S.
There will be a unique chance to meet and chat to final year Computer Science students at their poster session which will be held on Wednesday 16th March from 1pm at the University’s Dean Street building. A postgraduate Open Day will also be held on the same day, offering advice and information on how to go about applying for postgraduate courses, this will be held from 12 noon at PJ Hall – lunch will be provided. Other public events during science week include guided geological walks around some of our spectacular landscape. The walk on Sunday 20th March around Red Wharf Bay on Anglesey looks set to be an extremely interesting one.